Discussion in 'Vendor Specials' started by motobilt, Oct 28, 2013. I have been putting in the hours to get this kit ready. This is a simple platform to mount the front and rear upper and lower link mounts on a Jeep YJ. This kit is intended for people running 40 inch or larger tires. The front and rear link mounts are built into the kit. To install you simply cut off the factory leaf spring buckets. The kit bolts into the 3 bolt holes on each side for the factory skid plate for location purposes only. Then you weld into place. This kit is designed to use 1-1/4" x 1 rod ends for the lowers and 7/8 x 3/4 rod ends for the uppers. The lower link mounts are built flush with the skid plate to eliminate hooks on the bottom of your Jeep. The skid sits roughly 3/8" down from the factory skid plate. 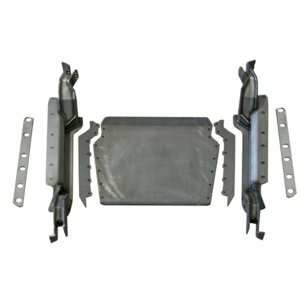 Jeep YJ Four LInk Suspension Kit and Skid Plate Motobilt, Inc. Call me if you would like to talk it over. I have been in the parts building industry for many years. Motobilt may be a new name in the industry but I am certainly not new. Dan DuBose "I Build Stuff" Bobby Cox "I sell the stuff Dan builds!" I've done a lot of crazy things....the only way I know is that people keep telling me. Thanks Ken. Nice to see your building coming together. We are getting close on the YJ we have in the shop. I currently have this product in stock. Call or email me if interested. I typically offer people free shipping when buying this kit in conjunction with the YJ Back half kit. More of these have been going out the door. I appreciate the business. If you have any questions / concerns be sure to give me a call. Let us know if we can help with your Jeep YJ build. We are in the middle of another production run for the 4 link systems and in the middle of moving the shop to a new location. I am motivated to make some deals. If you have been waiting. Now is the time. Thanks for the business everyone. We have a few of these systems in the works now. Let us know if you are interested. We are in the process of making another production run of these. Who wants to 4 link their YJ? I just started poking around on your site after seeing this thread (I don't own a Jeep). You're doing some really nice design and manufacturing work on this stuff, and some great details. Super cool! I don't really have anything in mind at the moment, but do you do any custom manufacturing? I like to keep a list of people to reach out to if I have a specific need. Sorry I just saw the message about custom fab. Yes, we build custom projects on a daily basis for people. Let us know what you might need. Let us know if we can put together a 4 link system for you. Thanks again for the business. We are building about a few more kits today. I started on a TJ version which should work on the LJ as well. I do not have an ETA, price point, or any other info on it at this time. 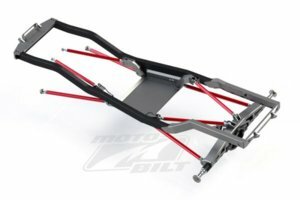 Jeep YJ 4 Link Kit Motobilt, Inc.